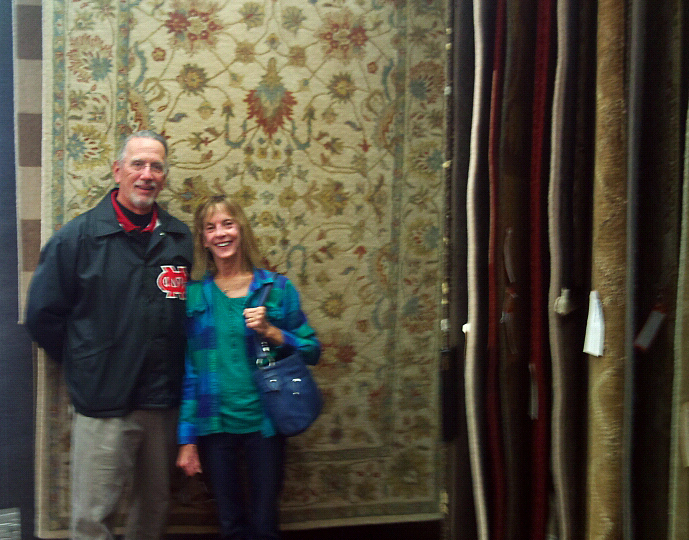 Indianapolis flooring store, Kermans Flooring, continues to give away a free rug each month. C.E. and Martha chose this flower patterned area rug for their home in Carmel, Indiana. Kermans has been selling area rugs for more than 88 years, and we have a wide variety of styles available in our showroom. In addition to our inventory, we also help clean and repair area rugs with an expert on staff to answer your questions. Recently, we have expanded our cleaning and repairs abilities to include all rugs from handmade oriental rugs to custom broadloom rugs. We have also introduced a new pricing point to accommodate the different processes involved in cleaning machine-made and broadloom rugs.